When it comes to looking chic this spring, floral prints are the way to go. Pop Sugar reports the trend is set to continue into fall of next year as well – many of the top designers at the current New York City Fall Fashion 2013 shows recently debuted looks with floral patterns. From Valentino to Chanel and even Vera Wang, flowered patterns are a major statement for the entire year. Some of the best ways to wear flowers in your ensembles is by looking for a few stand out pieces with brightly printed patterns. For example, rocking an adorable flower patterned sun dress with a simple jean jacket is sure to garner plenty of attention. On the same note, you can also make flowers more formal for fall. Marie Claire magazine reports designer Prabal Gurung’ floral prints showed off this trend perfectly in his recent collection. Models at his NYC show stunned in peplum style tops with red floral prints on the bottom half of the shirts. Since flowers seem to be in fashion, why not spruce up your home with a gorgeous bouquet? 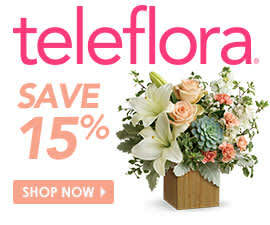 Prepare for spring by ordering a collection of flowers like Teleflora’s How Sweet It Is bouquet. The mix of orange roses and hot pink miniature carnations is sure help you beat the wintertime blues.